Last week, I wrote about the deep roots of the European Renaissance, the time to our modern society can trace its origins. In short, by the mid 1400s, Europe was ripe for an intellectual revolution that would, literally, reshape the universe as we know it. The first great astronomer of the Renaissance was Nicolaus Copernicus (1473-1543), who is widely considered to be the first great astronomer since antiquity because it was Copernicus who proposed the idea of a heliocentric, or Sun-centered, solar system. Actually, the idea that the Earth was a planet and all planets revolved around the Sun was an old hypothesis first put forward by Aristarchus of Samos in the 300s B.C. Unfortunately, unable to ponder the inconceivable of why there was no great wind thanks to Earth's motion and that the stars could have been infinitely far away, the ancients disregarded Aristarcus' ideas in favor of the more practical, Earth-centered theories put forth by others. Ironically, if not for a colleague, German astronomer Georg Rhericus, Copernicus' ideas may have never made it outside a very small circle of friends. 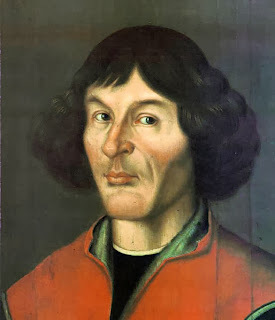 After returning to his native Poland after a trip to Italy, Copernicus wrote a short work on a heliocentric solar system that he distributed only to his friends (being a clergyman himself, Copernicus undoubtedly realized the offensive nature of such an idea). In time, this short work became the revolutionary work On the Revolutions of the Heavenly Orbs, which finally went to print in 1443. Copernicus himself received the first printed copy on the day he died. In analyzing Copernicus, he had some important motivations for developing his heliocentric idea. First, Ptolemy's geocentric solar system was complicated and it was often at odds with observations. When it came to arguing for heliocentricism (and perhaps avoiding getting himself into trouble), Copernicus didn't flat out say that he was right and his opponents wrong, but that his theory was just that, a theory, and one that couldn't be proved or disproved any more than geocentricism. Unfortunately, just like with Aristarchus 2,000 years before, critics came out of the woodwork to argue against Copernicus. The fact that Copernicus himself was dead by the time his book was printed didn't help matters, either. As with Aristarchus, opponents argued that, if the Earth moved, there should be a constant wind, or at the very least, a noise. If the Earth spun on its axis, why didn't objects dropped always land to the West of where they fell? If earth moved, why wasn't there any detectable stellar parallax/brightness change in stars? These ideas plus the unprovable nature of it, the fact that it couldn't explain anything Ptolemy's system couldn't, and the 2,000 year history of Geocentricism all conspired to keep the ideas of Copernicus out of the scientific forefront. The next three giants of Renaissance astronomy would be contemporaries, albeit in different locales. The first to become a scientific star was Tycho Brahe (1546-1601), a Danish nobleman with a zest for science. Having observed a supernova in 1569, Brahe's book about the event brought him to the scientific forefront virtually overnight. With such fame, Brahe became a hot commodity whose skill as an astronomer was sought by many nations. To keep him from going abroad, the Danish king gave Brahe his own island plus a considerable royal allowance to be used in the pursuit of science. Brahe did not disappoint his royal patron. Using his allowed money to build a permanent observatory, construct the world's largest (and therefore the ability to make the most accurate measurements) instruments), and hire trained assistants, it is little wonder that Brahe was the greatest of all the pre-telescopic astronomers, compiling more than 10 times more data than all the other astronomers who had ever lived to that point, combined! Adding to the quality of his reputation, Brahe's instruments were permanently mounted and multiple observations were made for verification. Single-handedly, Brahe corrected the error-ridden astronomical charts compiled by previous generations of astronomers. Naturally, being such a big name in the scientific community, it was only natural that Brahe would weigh in on the whole shape of the solar system debate. In his solar system, Brahe went for a compromise model. The Earth was at the center but all the other planets went around the Sun, which went around Earth. However, unlike previous astronomers who had discounted heliocentricism without much thought, Brahe was sure to examine the theory before discrediting it. First of all, even with his huge instruments that could measure to accuracies previously unimaginable, Brahe could still not detect any stellar parallax. 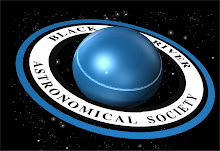 Also, in trying to measure the angular size of the stars, they were several minutes of arc. Even at an unimaginably distant 7,000 A.U.s, the stars themselves would have to be several A.U.s across, far too large for Brahe to comprehend. Result: the compromise solar system, which would hold sway for around 100 years. At the same time that Brahe was measuring the heavens, a German, Johannes Kepler (1571-1630), was just getting his career started. Like with Copernucus before him, Kepler could have easily never became an astronomer. Initially sent away from home to study theology and become part of the new Lutheran clergy, Kepler instead found himself drawn to mathematics, which soon became his field of study. Upon graduation from college, Kepler found himself teaching high school mathematics, with astronomy being as a spare, side interest. 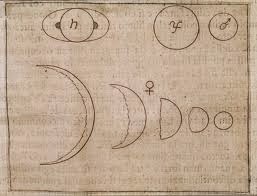 Despite astronomy not being his profession, Kepler wrote a book on the topic, specifically planetary orbits. This work attracted the attention of many astronomers, including Brahe, who invited Kepler to join his staff. Brahe was an astronomer, not a mathemitician, and he knew that he needed Kepler's mathematical genius to make sense of his volumes upon volumes of data. At the same time, Kepler knew he needed Brahe's data if he were to make any discoveries. Unfortunately for Kepler, Brahe, probably rightly so, regarded his observational data as his life's work and wasn't about to start giving it out freely. Between the time he joined Brahe's staff in 1599 to the time Brae died in 1601, Kepler almost quit his position several times over frustration about not being granted access to the volumes of data Brahe had compiled in over 30 years of observations. After Brahe died, though, Kepler would be appointed to Brahe's position of Imperial Mathemitician, which thus granted Kepler access to all of Brahe's data. Eagerly plunging into his work, Kepler immediately came across problems, specifically that the observational data could not be reconciled with planets having a circular orbit. In the time that followed, Kepler tried various models for planetary movement in the hope of finding one that would fit the observations. Try as he might, Kepler just couldn't reconcile the models to the observations, especially in regards to the planet Mars, which exhibited the greatest irregularity in its orbit.. Finally, in desperation, Kepler, a deeply religious man who sought to find proof of a divine blueprint for the solar system, gave up the perfect circles that had so dominated astronomy for centuries. Upon calculating the orbits of the planets as ellipses (slightly elongated circles) the observation and theory finally agreed. It was this discovery that planets' orbits ere elliptical that inspired Kepler's 3 laws of planetary motion. Law 1: All planets move in elliptical orbits with the Sun at one of the foci. Law 2: All planets move through equal areas of space in equal times ()basically, planets move faster when closer to the Sun and slower when farther away). Law 3: A planet's period of orbit is proportional to its distance (orbital period (in years) of the planet squared equals the semimajor axis (in AU) cubed). This discovery showed that there was some common force governing planetary motion (this force is gravity, but Kepler didn't know this yet). While his 3 Laws were undoubtedly important to the development of astronomy, Kepler also left a historical footnote among his already rich legacy to mankind: the world's first work of science fiction. In The Somnium (Dream in Latin), Kepler details a trip to the Moon, the lunar environment, and its inhabitants. Unfortunately, in the mid 160=10s, a partial copy got out to the public, which sparked rumors of witchcraft about the Keplers, with many people accusing Kepler's mother (who fit the stereotypical image of a witch in the fact that she was old, lived alone, sold herbal medicines, and had a quarrelsome personality) of using her magic to transport her son to the Moon. To make matters worse, this was the “Burning Time,” the height of the witch hunts when clergymen relentlessly pursued so-called witches, employing torture to extract confessions before often burning the unfortunates at the stake. In reality, the (un)Holy Inquisition was more of a womens' genocide. In some villages, only a handful of women were left alive after the inquisitors passed through and this was the environment in which Kepler's science fiction found itself. Not surprisingly, the rumors got to the ears of the church leaders who then ordered Kepler's mother arrested. In the middle of the night, the authorities cam,e fore Katherine Kepler, forced her into a chest, and then carried her off to prison, which is where she would spend nearly the next 5 years. It was only through years of legal wrangling that Kepler was finally able to get his mother out of prison. Not surprisingly, Kepler blamed himself to an extent for his mother's legal woes and, after the court battle was over, Kepler put the Somnium aside for the better part of a decade, sticking to science fact instead. 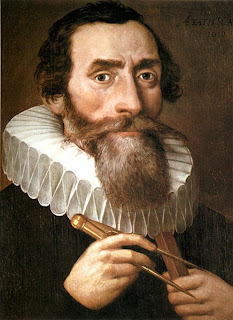 Finally, in the mid 1620s, Kepler started writing again but, just as he was about to publish, he died suddenly in 1630. The Somnium was published by his son in 1634, the only edition that would find its way to print for over 200 years. At the same time that Kepler was battling the forces of the Inquisition while trying to paint an accurate picture of the cosmos, another, very different type of scientist, was conducting work in Italy that would, in time, come to gain him the title “father of modern astronomy.” This man was Galileo Galalei. Like his contemporary Kepler, Galileo was drawn to astronomy through mathematics. Earning a mathematics degree, Galileo would go on to a university teaching career in Pisa. Unlike Kepler, who was motivated by a purely intellectual desire to discover, Galileo's initial motives were financial. Despite its high prestige, the position of university professor was not the best paying job in the world and Galileo was short on money, especially considering the fact that he was supporting a secret, second family as well as his wife and children with her. The avenue or financial success: a new invention called the spyglass. An early telescope owned by Galileo. Invented by an unknown Dutch lens maker who discovered that great magnifications could be achieved by the right pairing of lenses, the spyglass was the father of the telescope. In fact, the Dutch were the first to turn the spyglass skyward, and they reported far more stars than could be seen with the naked eye. Being a mechanical mind, Galileo resolved that, if he could get a spyglass and improve the design, he could make a lot of money by selling his design to the military. Well, Galileo did get a hold of and improve upon the spyglass, but his legacy would be far more than as a salesman. Being naturally curious, Galileo gained worldwide fame for the fact that he was first to turn the improved spyglass, now dubbed the 'telescope,' to the sky, thus becoming the first telescopic, and thus modern observational astronomer in history. Finally, after centuries as a theoretical abstraction, the sky and the bodies it contained would become places. In his book, the Starry Messenger (written in the vernacular Italian, not Latin as all previous scientific works were), Galileo both forever changed the picture of the universe through undeniable visual observations and the way which people perceived science through writing in everyday language. In the Starry Messenger, Galileo made several major discoveries. Starting with the least Earth-shaking, the Milky Way cloud transformed itself into rich fields of tiny stars, far more than the eyes could ever count. In the telescope, the stars looked the same as they did visually, with no details, which implied that Aristarchus and Copernicus were right, the stars were infinitely far away. Last, the angular sizes of the stars were greatly over-estimated by non-telescopic observers, including the great Tycho Brahe. One of Galileo's drawings of the Moon. Moving up into slightly disturbing, Galileo discovered that the heavenly bodies were not perfect and unchanging. The Moon was found to have mountains, valleys, plains, and dark areas, hardly a perfect world. As for unchanging, Galileo found that the Sun was not some static, unchanging body, but a disc covered with dark sunspots that moved across the Sun itself. By watching the sunspots, Galileo deduced that the Sun spun on its axis about once a month. Galileo's observations of Jupiter's moons. When turning his telescope on Jupiter, Galileo found that the planet was accompanied by four tiny specks that moved with it through the stars, changing position relative to each other, but staying with the planet. It took no time for Galileo to realize that2 these tiny specks were moons, thus disproving the long-held idea that everything revolved around the Earth. However, geocentricism was not dead. Okay, so maybe not everything orbited Earth, but there was still no irrefutable proof that the Earth was a planet that went around the Sun. Galileo's drawings of the phases of Venus. Galileo's next discovery, the phases of Venus, provided such proof that Earth is not the center of the solar system. In a geocentric solar system, Venus would always be some sort of crescent thanks top the fact that the Sun orbited Earth with it. Ina heliocentric solar system, Venus would go through a full range of phases, just like our Moon. Well, in turning his telescope on Venus, Galileo found that it did exhibit a full range of phases from a thin crescent to a nearly full disc (new and full are obscured by the Sun). Now, while today, the only logical conclusion can only be that the solar system was heliocentric, back then, there was the third model proposed by Tycho Brahe: that which had the Earth at the center, the Sun orbiting our planet, but all the other planets orbiting the Sun. Now, as awkward as that idea is (why would the Earth, of all planets, be so special? ), it held sway until around the year 1700 and the advent of Newtonian physics, which we will address later. Now, these discoveries in themselves were disturbing enough for scholars and theologians but, to make matters “worse,” Galileo published all of these findings in the vernacular Italian, the language of the masses, rather than in Latin, the language of the educated. In doing so, Galileo became the first great popularizer of science, but the cost would, in time, be great. When Galileo published the Starry Messenger, the Catholic Church, long the unchallenged, dominant religion of Europe, was in a bad way. The Protestant Reformation had begun in 1517 when Martin Luther published his 95 Theses, which directly challenged the authority of the catholic priesthood by stating the, at the time blasphemous idea, that salvation could be achieved through a personal relationship with God, thus negating the middleman that was the Catholic priest. Its authority challenged, the Church immediately clamped down on all opposition, which included science as, back then, theology and science were tightly intertwined. Remember, if the Bible said something was true, it was true, the observations to the contrary be damned, literally. As a result, the Church went on a frenzy of squashing anything that challenged its doctrine or world view. In 1616, just a handful of years after Starry Messenger was published, pope Paul V declared the teaching of heliocentricism to be heretical. His justification: the Book of Joshua in the Old Testament, which plainly stated that, with God's aid, the Sun was made to stand still, thus implying that it, not the Earth, moved. 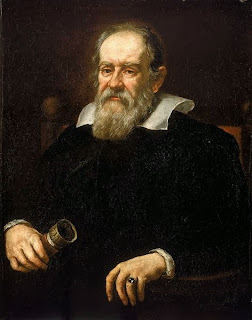 Shortly thereafter, cardinal (now saint) Robert Bellarmine personally warned Galileo to stop teaching heliocentricism. For the time, Galileo heeded this advice and did other work, which included pioneering experiments in physics. In 1624, Paul V died and was succeeded by Urban VIII, an old personal friend of Galileo. Seeing this change at Church helm being to his advantage, Galileo approached Urban VIII about heliocentricism. Urban, who was, for the time, rather progressive in his thought, gave Galileo the okay to write about a Sun-centered solar system under one condition: heliocentricism was to be discussed as a theory, nothing more. Taking this approval, Galileo proceeded to write the Dialogue, subtitled Concerning the Two Chief World Systems, the Ptolemaic and Copernican, which was published (also in the vernacular Italian) in 1632.. In the past when autocratic governments/religions were the norm, writing about controversial topics in the form of a dialogue (more accurately a debate) was a great way to avoid getting oneself in trouble, provided that the debate was actually balanced. Plato did this in an increasingly intolerant Ancient Greece (remember, Plato's teacher, Socrates, was condemned to death for, among other things, blasphemy and, according to the charges, corrupting the Athenian youth with his teachings) and never got himself in legal hot water. Obviously, Galileo sought to emulate writers like Plato in his Dialogue. Unfortunately, Galileo's debate was anything but balanced, with the character supporting the Earth-centered model and using Church arguments even being named Simplicio (“simpleton” in Italian). Needless to say, the Church wasn't happy. Summoned before the (un)Holy Inquisition and threatened with torture, Galileo, then 69 years old, confessed that his teachings had been in error and that he was guilty of religious crimes. The Church, in reality, came down rather lightly on Galileo, sentencing him to house arrest in his palatial villa for life (they could have sent him to prison or, like Giordano Bruno, had him burned at the stake) and placed the Dialogue on the Church's list of forbidden books (where it would remain until 1822). With such an influential scientist treated in this manner, it was little wonder that no scientist in Italy dared speak of a Sun-centered solar system even as the idea was becoming widely accepted in the rest of Europe. As a postscript, the Catholic Church never admitted its injustices toward Galileo until 1993, when he was formally declared innocent of the charges. In thanks to Galileo, 2009 was declared the International Year of Astronomy as it marked the 400th anniversary of Galileo turning the spyglass skyward.